Our Property Group has guided clients through Western Sydney’s largest and most complex projects on a wide range of property law transactions, from major developments to residential and child care centre sales and purchases. The group comprises highly respected and Accredited Specialist lawyers with a diverse range and depth of property law skills. We provide a cost effective ‘end to end’ service on all aspects of property transactions, from sale and purchase of residential property to complex property development and leasing transactions. Our seamless service, working with our Corporate, Banking & Finance and Environmental, Planning and Local Government Groups, gives you the benefit of a range of legal expertise for the optimum strategic and commercial outcome for you. For example, the expertise of environment and planning lawyers helps identify, manage and provide experienced insight into often complex issues arising in property projects. Our clients include a range of developers, construction companies, managed investment trustees, investors, financiers, state and local government bodies. At Matthews Folbigg, we understand that purchasing a property can be stressful and sometimes confusing. Having us look after all your conveyancing needs allows you not to worry about the legal side of buying and selling a property. Our aim is to ensure the transaction is effected as smoothly and efficiently as possible. Exceptional high service at competitive rates. So why choose Matthews Folbigg Lawyers for your next conveyance? Having over 50 years’ combined experience in acting for homebuyers and sellers throughout NSW, the conveyancing team at MatthewsFolbigg know exactly how to guide you and protect your interests throughout the process of buying or selling your home. Our depth of experience and expertise allows us to identify potential problems and opportunities that may otherwise be missed. Whether you are a first home buyer or an experienced property investor, our conveyancing team at MatthewsFolbigg Lawyers will deliver a tailored service depending on your needs. Contact the leading conveyancing team in Western Sydney, MatthewsFolbigg, on (02) 9635 7966 or at conveyancing@matthewsfolbigg.com.au right now for a free no obligation quote. Strata Law is a very specialised and complex area of the law. Strata Law focuses on a variety of legal issues surrounding shared interest living such as building disputes, management disputes, continued development and changes to by-law or rules. Given the complexity of Strata and Community Title Laws and Regulations and the need for accurate and specialist advice, Matthews Folbigg strata lawyers have the expertise necessary to ensure you achieve the outcome you are seeking! When you deal with Matthews Folbigg you are accessing detailed knowledge and experience in dealing with Strata and Community Schemes Law. This experience and knowledge enables Matthews Folbigg to go straight to the ‘heart of the problem’ and quickly provide the correct legal advice. Our team of Strata lawyers at Matthews Folbigg focus on providing our clients with timely specialist advice and services. We provide legal assistance with negotiating with the acquiring authority in relation to compulsory acquisition of your land. There is a process by which you can be compensated for the restriction or loss of the use of your land. We can assist in guiding you through the process and ensuring the best outcome for you. Strata Law is a specialist area of the law. Matthews Folbigg has the specialist expertise necessary to ensure you achieve the outcome you are seeking! advice on development applications by lot owners/occupiers. No job is too big or too small. You will be pleasantly surprised by how quickly you are able to get the assistance you need and you may save costs if you take advice early before a matter develops into a far more serious problem. Matthews Folbigg can run claims in all jurisdictions. We can run major claims acting for Owners Corporations against builders, developers, designers, certifiers and others. Matthews Folbigg understands the complexities of Strata and Community Title Laws and Regulations. MatthewsFolbigg can also assist you with collecting unpaid strata levies in the Local Courts. It’s never too early to obtain legal advice! Matthews Folbigg Lawyers, based in Parramatta, have specialised leasing lawyers with extensive experience in advising businesses about commercial leasing issues with respect to both retail and non-retail commercial leases. As a landlord, you need to know your lease agreement is drafted in a way which reflects your commercial and legal interests appropriately and correctly. In complex circumstances, the lease can be tailored to meet your specific requirements. Matthews Folbigg expert leasing lawyers have extensive experience in both retail leases and non-retail leases. Specialising in leasing law, Matthews Folbigg lawyers assist clients with their lease negotiations. Negotiating the terms of a lease correctly can have a significant impact on your business. It is prudent to obtain legal advice in relation to any proposed commercial lease. Landlords and tenants both have requirements and legal and commercial interests which are best protected by proper consideration of individual circumstances. 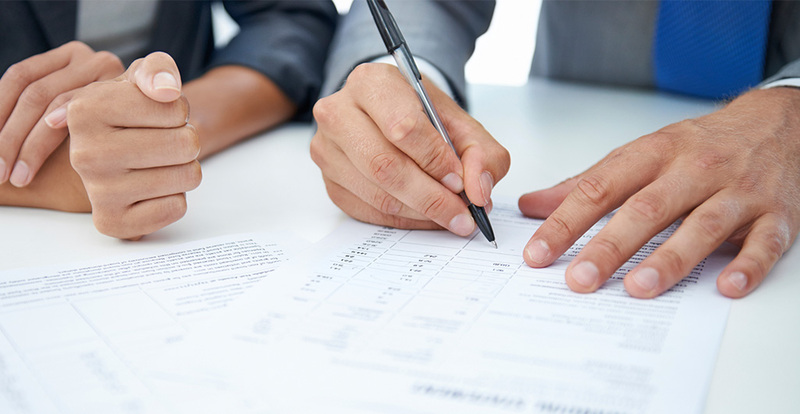 Our leasing lawyers have experience with dealing with disputes and have assisted many clients in reaching resolution in relation to their disputes as opposed to costly litigation. Our specialised team of leasing lawyers are experienced in dealing with lease disputes, and if required we have expertise in relation to lease litigation. If you have a lease dispute, we will advise you on all of your options and assist you with your negotiations with the other side. If the matter ends up being litigated, then you can be assured that we have a strong team of litigators who have experience with lease matters. Matthews Folbigg Lawyers leasing team’s experience in relation to acting for commercial tenants is broad. We will ensure that your lease reflects your offer to lease and we will provide commercial and practical advice to you in relation to the pertinent aspects of the lease such as rent reviews, make good clauses, particular areas in relation to your specific business needs. Our leasing lawyers ensure you have clauses included that are individually tailored to your circumstances, e.g. your fit-out and any other specific business issues. As a tenant you need to ensure your permitted use and your proposed works comply with planning requirements and are permissible. Matthews Folbigg Lawyers also offer you specific advice in relation to approvals and your applications and advice in relation to the specific planning instruments which operate in the area you wish to lease premises within. As a landlord you must give notices in accordance with legislation and they must be in the prescribed form otherwise they will be invalid and more so the tenant may be able to obtain a declaration from the Supreme Court (plus a costs order against you if you do not issue notices properly). At MatthewsFolbigg our lawyers can advise you whether you are the landlord or the tenant as we have experience with acting for both. If you have any questions in relation to your option to renew you should contact our experienced leasing team on (02) 9635 7966. The leasing lawyers at Matthews Folbigg, have experience acting for large corporations, including publicly listed companies in relation to their national portfolios. We can work together with you and your Real Estate Agent to create a system of reporting to you to ensure that all critical dates are met. The leasing team can also work with you to create a tailor made lease document to suit your requirements. Our experience in this area extends to acting for large and publicly listed corporate entities in relation to their national leasing portfolio. Over this time our leasing lawyers have had extensive experience in negotiating leases of integral business premises in all capital cities in Australia and in mining & industrial towns across Australia in relation to industrial premises and warehousing sites whereupon we have dealt with lessors who are large super corporations, funds and property trusts. Leasing is a major investment and it can have major consequences if it is not dealt with properly at the outset. Rent and outgoings are substantial and leases are a major cost to the business but integral to any business. Matthews Folbigg Lawyers, Parramatta, can assist in the negotiation or drafting of your lease. We can assist you to understand your rights and s and achieve your commercial objective. Call the leading leasing lawyers in Western Sydney today on (02) 9635 7966 or email info@matthewsfolbigg.com.au for a no obligation discussion as to how we can assist you with your leasing requirements or lease portfolio.